Businesses that are involved in offshore software development often operate in a virtual project environment in which peer teams located at customer premise exchange project specifications with the offshore software development facility. To understand the complex issues in such a virtual project environment during the requirements definition phase of the software development cycle, we conducted an exploratory research study, involving 24 virtual teams based in Canada and India, working on defining business requirements for software projects, over a period of five weeks. 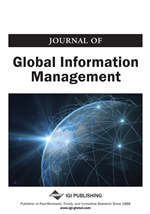 The study indicates that trust between the teams and well-defined task structure positively influence the efficiency, effectiveness, and satisfaction level of global virtual teams.